What is a Student Pass in Malaysia? 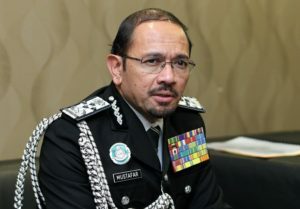 SHAH ALAM: An employer was sentenced to one stroke of the rotan for hiring illegal workers in Selangor, says Immigration Department director-general Datuk Seri Mustafar Ali.. He said that although the law provides for such punishment, it was never meted out in the state before. Mustafa said the 46-year-old owner of a bakery in Subang Jaya was sentenced on Dec 12 to six months in jail and one stroke of the rotan for employing 15 illegal immigrants who did not have valid passes. The offence under Section 55B of the Immigration Act 1959/63 provides for a fine of between RM10,000 and RM50,000 or a maximum one year in jail or both for each illegal immigrant employed. “With this first case, we hope it will serve as a deterrent to employers from hiring illegal foreign workers,” Mustafar told the press after opening the state-level Immigration Day celebration here Thursday. Mustafar also called on employers who have registered for the illegal foreign workers rehiring programme but have yet to complete the application process to come forward before the June 30 deadline. “They can come to any Immigration office to complete the application process, including having their biometric verification done so that temporary work permits can be issued to their workers,” he said. He said so far, a total of 630,000 illegal foreign workers and 55,000 employers have been registered under the rehiring programme, conducted between February and December last year. However, only 233,000 applications were complete for further processing while the rest still need further action from the employers. “Employers who no longer need the services of their foreign workers can send them to the department to be deported to their respective countries,” he said. He added that the workers could also surrender themselves for deportation.